Looking for custom printed advertising specialties? American Screen Printing Association has members throughout the United States and worldwide that offer ad specialties. Custom printed items like coffee mugs, pens, ball caps, water bottles, etc. 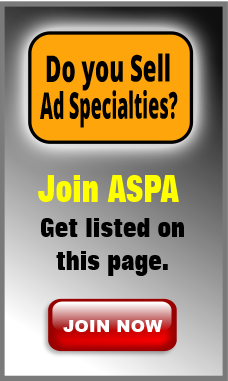 Check out the businesses listed below and find a advertising specialty distributor.